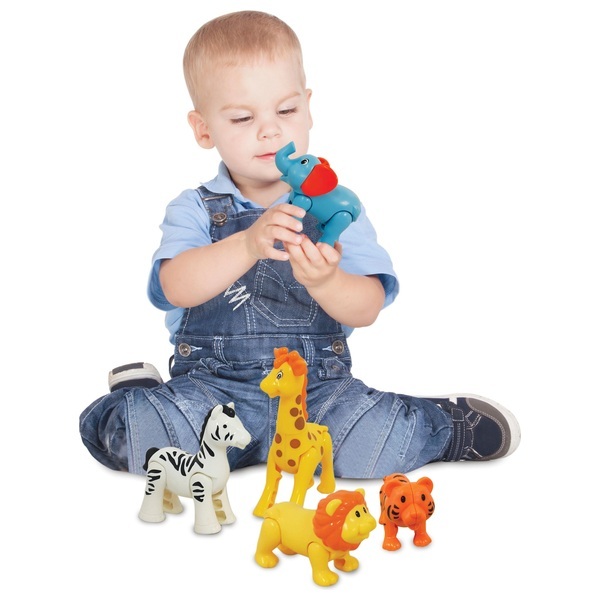 Little ones will love playing with these Safari Kingdom Animal Figures. Each figure has movable parts for little ones to control and make a click click sound. Little ones will love the brightly coloured zebra, tiger, giraffe, lion and an elephant from the Safari Kingdom.